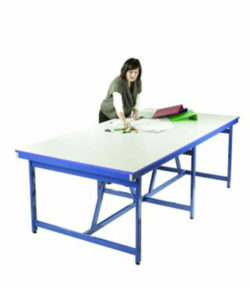 If you need to move and stack tables frequently then we would suggest the “crush bent” tables which are easy to stack. If tables are likely to be in situ for long periods then we suggest the “fully welded” design which, in our opinion is more rigid and robust. 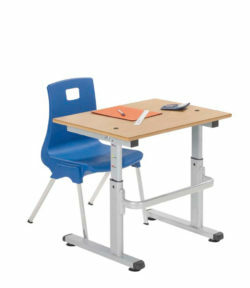 Fully welded tables can be “spiral stacked” while crush bent tables are “slide-on” stacking. 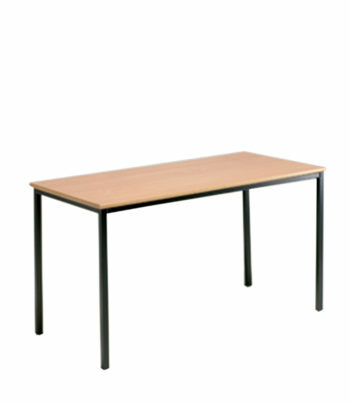 Our tables are available with a choice of table edging. The most economical, and recommended by us, is MDF edging where the core worktop is rounded and lacquered to give a simple, “no nonsense” edge which cannot be prised off (!) with screwdrivers or penknives. 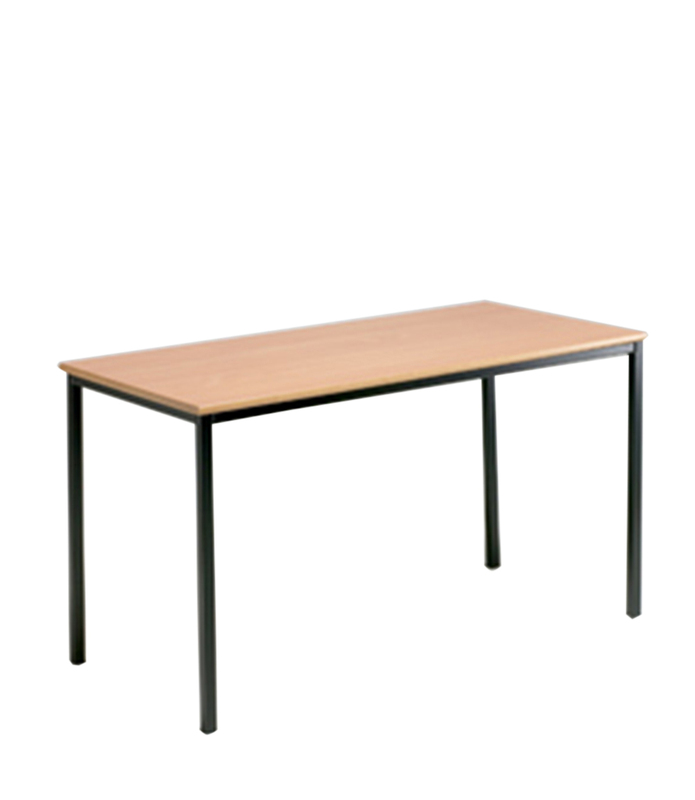 We can also supply these tables with a PVC edge in different colours. However, the PVC edge can be prised off with a screwdriver so, in the interests of longevity we do not recommend this type, unless you particularly need a matching or contrasting colour edge. Another alternative to an MDF edge is a spray PU edge which gives an attractive and hard wearing finish …now available in different colours. 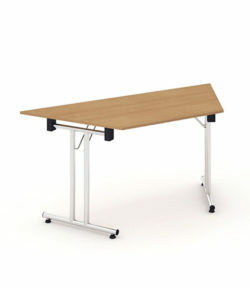 Prices below are for sizes 1200 x 600 mm and 1100 x 550 mm MDF edge tables. Please add £ 10 if a spray PU edge is required. 1200 x 600 mm or 1100 x 550 mm 710 or 760 mm height. 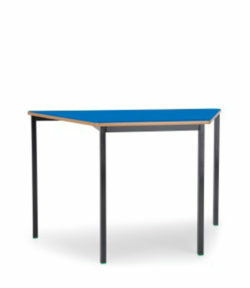 Please contact us for pricing on project and bulk orders….. (see also our “Cambridge” UK manufactured classroom tables which have a FIFTEEN year “fair wear and tear” frame guarantee). Choose from beech, grey, red, blue, yellow, green , maple, oak laminate worktops. Other laminate colours are available to special order. “Specials ” ie. different sizes, shapes and finishes are also available but at additional cost and with longer lead times. Please contact us if you would like more information.